Many of us have dreams and visions and we are sometimes looking for the meaning to them. The key when interpreting dreams and vision is to pay attention to your emotions, your senses – how you feel, what you smell and also the colors that are represented in your dreams. God uses our dreams and visions as a way to get us to completely rely upon Him. Let’s face it, sometimes even the best dream interpreters can miss some important aspect or points that God is trying to make to us. When an interpretation is correct you get full confirmation in your spirit and you become at peace with its meaning. Remember that dreams and visions are most often times warnings. So take heart if you dreamt something really bad. God is sending you a warning and how you respond to it will determine the outcome. Sometimes he’ll want you to pass on a message, other times it is so that you can change something so that the consequences of your actions don’t catch up with you! There are times when all he wants you to do is pray. Just pray about it. There are many disasters that can be diverted just by praying. We found this list very helpful that was published by Apostle John Eckhardt on his Facebook page. It’s a great way to start with interpreting what you’ve been seeing and hearing. Bethlehem- House of Bread. The place of birthing and provision. The city of David. Black- moral darkness, sin, apostasy. Blue- the heavens, heavenly places. Book- the word, learning, education, teaching. 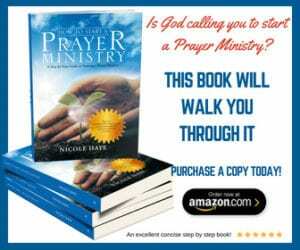 Commission- to send out with full power and authority; an assignment, mandate. Enoch- walking with God (Gen.5:22). Garment- a covering, authority, identity. Gatekeeper- a spiritual guard, sentry, authority to guard and protect a church, city or region. Gem – valuable, bright, brilliant, beauty. Gray- mixture, half truth, compromise. Haman- wicked plots (Esther 3). Isaac- the son of inheritance, the blessing of the Father, the next generation of promise. Jabez- breakthrough, expansion, blessing (1 Chron.4;10). Kingdom of God- the rule and reign of God in and through the saints. Righteousness, peace, and joy in the Holy Ghost (Rom.14:17). Lifting Hands: Worship and adoration; praise; total surrender. Number (Twelve)- order and apostolic authority. Priest- minister of God, intercession, offering sacrifices. Ramah- the place of the prophetic, a prophetic atmosphere, a place of training. Sacred cow- a tradition that has become an idol. Saul- Controlling leadership, rejection by God, attacking God’s anointed. Transition- to move from the old to the new. 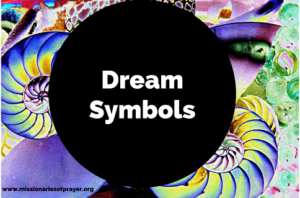 Do you have any dream symbols that you would like to share with us? Write them in the comments below. Also, if you had a dream and would like some help interpreting it, post it on the dream interpretation section of our website and we’ll help you finding meaning. My dream: Sweat was pouring out from my body and was being lifted upward. When I woke, my bed and my body was completely dry. I dram about 3 walruses and one of them bit my someone’s ankle . I don’t recall being me . But for sure these walruses were rolling and turning over their bellies and their backs repeatedly until that one middle walrus to a bite. This was somewhere down by the water not sure if maybe like some type of sea world stadium … it looked like that kind of set up..
Is someone trying to get your attention in waking life? Depending on how you feel about walruses, this could be someone you think well of or less of. I dream i was biting by a tick and i could not kill it. I had a similar dream years ago…I would encourage to be tested for Lyme Disease. The Lord lead my Family to be healed through Field Control Therapy. Yurkovsky.com will give you all the answers you need. If you believe, baptist you will be saved!!! The Lord loves you and is trying to get your attention! I dreamt where I was riding a bicycle on a bar foot and before the dream, I had an attack that my Christian members of the same church have planned to shoot me by the leg through the help of the presiding or sitting pastor. Hi. I dreamt i was pouring milk froma jug but hundreds of green leaves were falling out of the jug instead of the milk. Good day- my husband and i have been going through a very difficult time financially and we are trusting God for a financial break through. last night i had a dream that my 11 year son had this girl friend & she was very beautiful but when i looked at her, her face was transparent and all i could see was this beautiful diamonds. Her eyes were very light blue diamonds and when she laid down there were also light pink & clear diamonds floating with very,very fine pieces of gold and all i did was just stare at her beautiful face. Your dream is likely God revealing to you that He will use your son to bring a great blessing to your family. The girlfriend could represent a gifting/talent from God, something your son loves to do or is attracted to which will bring a lasting prosperity to your family. Don’t give up! Continue trusting God and confess His promise of blessing and financial prosperity (philippians 4 vs 19). He is ever faithful! Also encourage your son in his area of giftedness. I had a dream that we are at a place many people were there all of sudden I cutlasses brand new coming from the opposite direction, I was warning the people to be not cut by the cutlasses. later I saw person who was throwing it, I picked up two of them and beaten him with it . I put our lives in danger by doing this. I woke up from my sleep. In true life broke up with boyfriend. In dream he gave me a panflit like directions at the airport and i walked out left him behind. I dream that I was helping somebody (a white tall man) picking up wheat.. But I was like be careful their is snake and ants… I wake up with my son come into my room say mommy and ants bit me.